As fall harvest time draws ever so near, we are reminded of all the medicine that becomes available at this time of year. Fall is the best time to harvest roots, as this is the time when plants focus their energy on storing nutrients below ground. 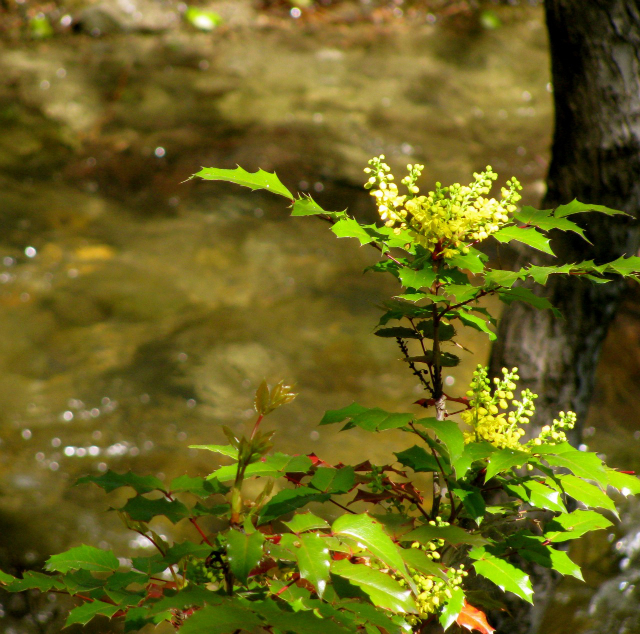 Mahonia aquafolia and Mahonia repens are local gems that grow prolifically in the Northwest. As a digestive bitter, Oregon Grape stimulates enzyme production, aiding the body in digestion and assimilation. When food sits in the stomach and doesn’t seem to budge, the bitter function of Oregon Grape comes in handy. Bitters are best taken before meals to help stimulate appetite and digestion and can also be taken as needed when experiencing stagnant digestion. As a bitter, Oregon Grape also stimulates the gallbladder to produce more bile, helping the liver break down fats and making it a useful liver stimulant. This can be very helpful for people who have trouble with fat digestion. Oregon grape is antimicrobial making is useful in treating colds and flus, topical bacterial infections and fighting intestinal infections. The antimicrobial and digestive bitter effects of Oregon Grape also make it useful in treating skin ailments like acne, psoriasis and eczema, as many of these arise from internal disruptions in digestion and liver function. Rumex crispus is a common plant, found growing like a weed across North America. Yellow Dock is a mild laxative and helps tonify the intestinal tract. When experiencing constipation, Yellow Dock can be a good herb to start with, as it is much milder than Cascara Sagrada and Senna and offers a more supportive rather than overly cathartic effect. Yellow dock also acts as a digestive and liver tonic and helps the body process fats and eliminate toxins. 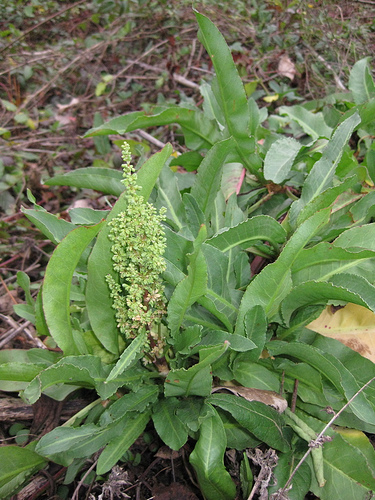 Yellow Dock is used to treat skin disorders that arise out of internal toxin build ups. For acne, Yellow Dock can be combined with other tonic and blood purifying herbs like burdock. In treating anemia and iron deficiency, Yellow Dock helps by allowing the body to absorb more iron. A great way to support iron absorption and intake can be to combine Yellow Dock with Nettles. Late Fall is the best time to harvest Yellow Dock preferably October or November. When harvesting, select for roots with a dark yellow color, the darker the yellow, the stronger the medicinal properties will be in the root. There are differing opinions about when the best time for Burdock root harvest is, some say first year roots in the fall and others say second year roots in spring. The best time to harvest roots in the fall is when the first year seedlings are just sprouting, as it’s harder to dig up when the plant is in full flower. 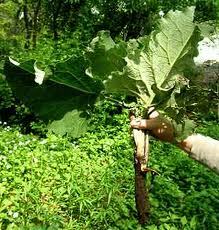 Burdock is a great gentle detoxifying herb. It is known as a blood purifier and “alterative,” meaning a tonic that restores one to health. Burdock is helpful in a variety of skin ailments from acne to psoriasis. Drinking the cold infusion of Burdock 2 x a day for at least 2 weeks can be a helpful treatment for skin conditions. One of our favorite ways to use burdock is in fire cider. Fire cider can be made by combining Burdock, Horseradish, Cayenne, and Garlic with Apple Cider Vinegar and allowing the mixture to sit for one month. Fire cider is an excellent cold and flu treatment and preventative and now is the best time to start your cider for fall and winter. Burdock is also a delicious food, we like to cook up burdock in stir fry with other veggies.